We are very glad to invite you to join The 3rd International Symposium on Sustainable Landscape Development 2017 (The 3rd ISSLD 2017). The event will be held on November 14th and 15th, 2017 at IPB International Convention Center in Bogor, Indonesia. 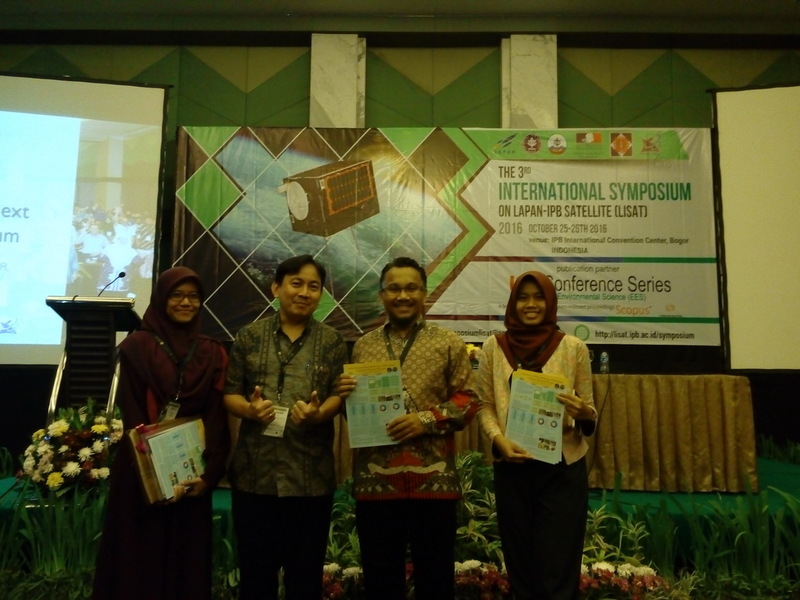 The 3rd ISSLD 2017 is calling for papers. The 3rd ISSLD 2017 will bring together researchers, professional, stakeholders, and community working on landscape development, which is the essential networking for sustainable future landscape assessment. 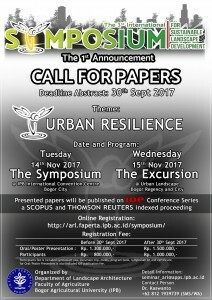 The theme of this year symposium is URBAN RESILIENCE. This is including Mitigation, Sustainability, and Resilience in the urban landscape. The 3rd ISSLD 2017 will be performed by experienced keynote addresses, advanced of invited talks and overseas contributed speakers. 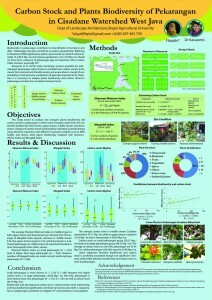 They will share their ideas in the form of oral presentations and poster sessions. 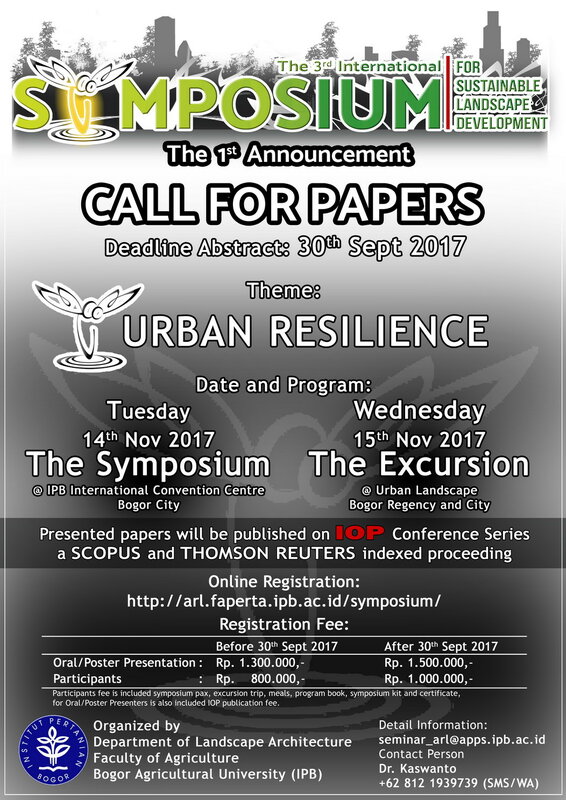 The 3rd ISSLD 2017 is calling for papers from any field related to landscape including environment, ecology, and sociocultural aspect. Thank you for your very kind attention and collaboration. We really appreciate if you could help us to spread this information to your colleagues who are interested in this idea. We are looking forward to discussing with you at Bogor and we absolutely believe that your contribution will create the symposium fruitful for all of us, and also for landscape society. 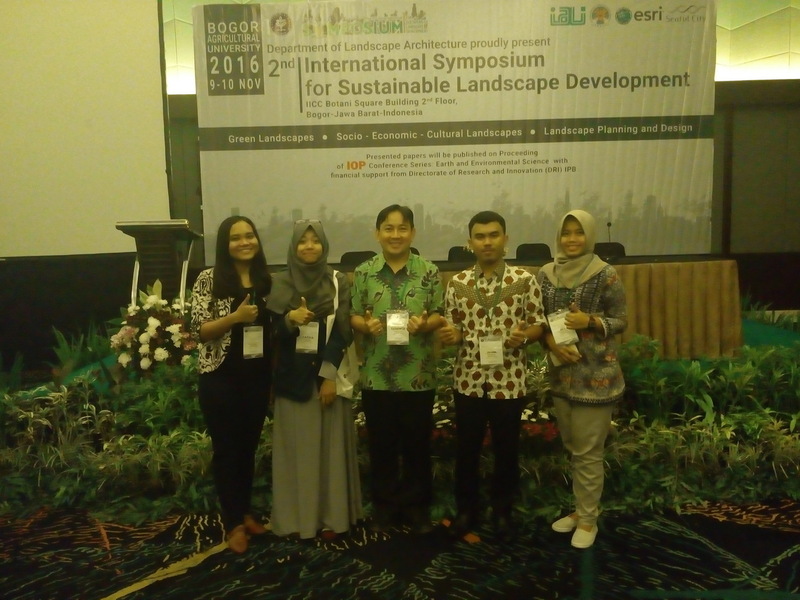 The 3rd International Symposium on Sustainable Landscape Development 2017 (The 3rd ISSLD 2017). 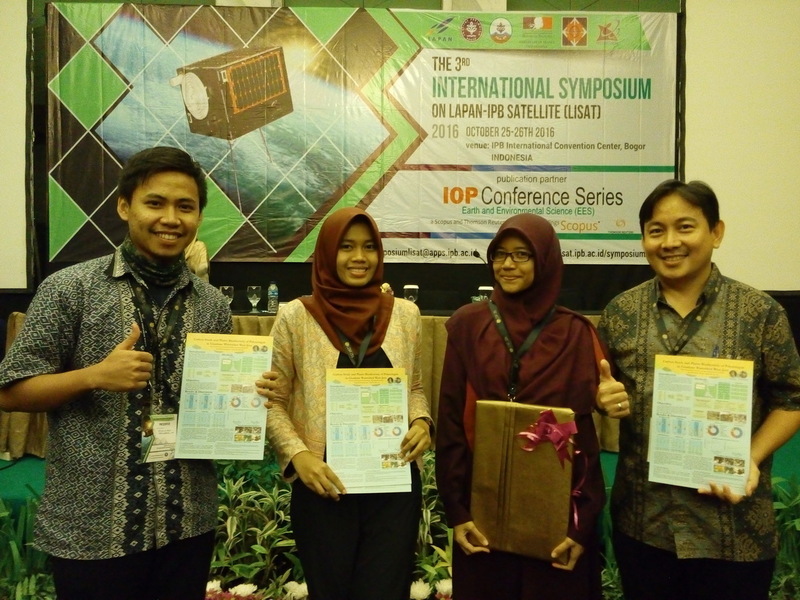 Best Poster the 2nd ISSLD 2016 was awarded for two posters which have been presented during poster session. One of the winner goes to Mr. Muhammad Zainul Islami as he presented a poster entitled Landscape Design Process of Lakewood Nava Park BSD City Based on Smart Growth Concept. 1Research Scholar, Department of Landscape Architecture, Bogor Agricultural University, West Java, Indonesia. 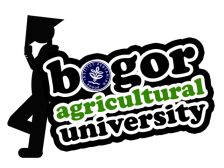 2Lecturer, Department of Landscape Architecture, Bogor Agricultural University, West Java, Indonesia. A comfortable and green housing area in a city is a must for the people live in a city. The rapid development in a city caused greater need for land. This problem happens simultaneously with environmental problem globally such as growing number of people, pollution, excessive exploitation of resource, and decreasing in ethic of land uses. The design of Lakewood Nava Park BSD City prioritizes on pedestrian and walkable environment to apprehend those problems. Lakewood Nava Park is a landscape design project conducted by landscape consultant company, Sheils Flynn Asia. The concept of Smart Growth used as a recommendation for Lakewood Nava Park design. Smart Growth is a city planning and transportation theory which expand a city into a walkable city. The method used on this research is a comparison between landscape design process and Booth theory, also analyze ten principle concept of Smart Growth at the project. Generally, the comparison between design process and Booth theory resulted a slight difference in term and separate phase. The analysis result from Smart Growth concept is around 70% has been applied, and the rest 30% applied after the design has been built. By using Smart Growth principle, the purpose of Lakewood Nava Park design can be applied well. Abstract. The climate change has caused the uncertainties in human life, which impacts the food security. The presence of vegetation in Pekarangan can be proposed to mitigate global climate change impacts by CO2 sequestration and at the same time to promote the availability of food for the community. Pekarangan is one of the small landscape agroforestry system that have functions in terms of economic, social, and ecological. Management of landscape services in pekarangan will reduce greenhouse gases (GHG) emissions, which mean create a low carbon society (LCS) that support the food security. The aims of this research is to calculate carbon stock and biodiversity in pekarangan, and to compare carbon stock and biodiversity on three levels of Cisadane Watershed. Four groups of Pekarangan defined on a purposive random sampling. Those four groups are G1 (Pekarangan size less than 120 m2 and doesn’t have other agricultural land (no other agricultural land – OAL), G2 (<120 m2 with OAL < 1000 m2), G3 (120-400 m2 with no OAL) and G4 (120-400 m2 with OAL < 1000 m2). 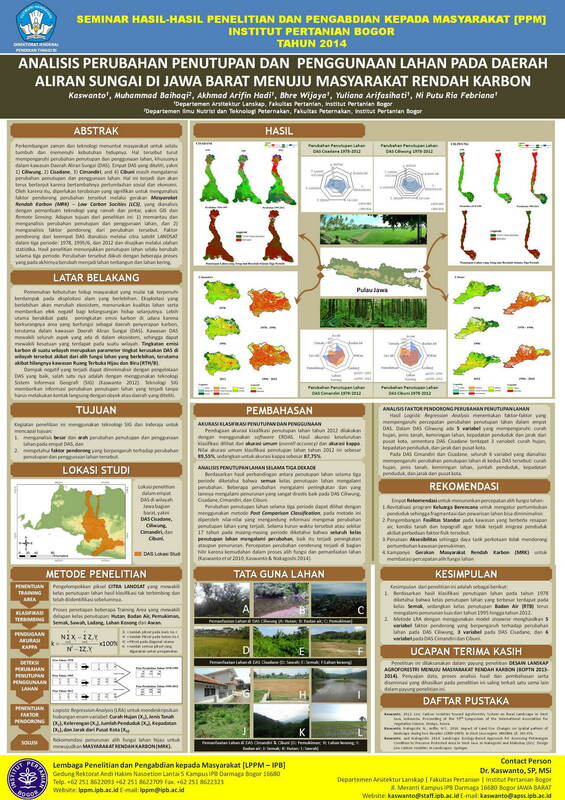 Allometric models were developed to estimate aboveground biomass of vegetation, and an inventory was conducted in 48 pekarangan. Shannon Weiner Index (H’) and Margalef Index (Dm) are used to evaluate biodiversity, averaged 2,84 and 5,10 (G1); 2,55 and 4,27 (G2); 2,56 and 4,52 (G3); 2,68 and 4,84 (G4), while carbon stock averaged 33,20 Mg Carbon/ha (G1); 29,97 Mg/ha (G2); 59,18 Mg/ha (G3); and 40,98 Mg/ha (G4). There is no relationship between biodiversity with carbon stock on pekarangan (R2 = 0,02), or tree’s biodiversity with carbon stock (R2 = 0,23). 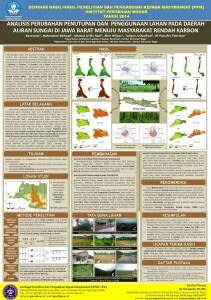 High resolution satellite imagery can be used to extrapolate carbon stock and plants biodiversity of Pekarangan at watershed level. 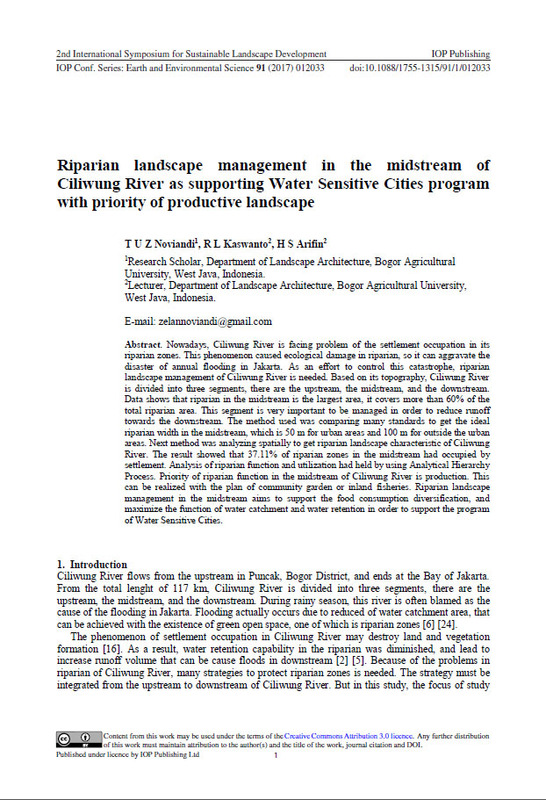 My article entitled “The Disparity of Watershed Development between Northern and Southern Region of Java Island” has been published. Please take a look at a glance! The disparity in Java Island can be observed from the difference of development between northern and southern watershed, particularly in the west part of Java. The northern region (NR) is represented by Cisadane and Ciliwung Watershed, while the southern region (SR) is Cimandiri and Cibuni Watershed. Those four watersheds are burst out from the same mountain which can be assumed the biophysical and geology conditions are similar, thus the driving force predominantly comes from human intervention. The disparities are coming from human force such as population, urbanization, migration, accessibility and others socio-economic factors. Although the watershed length and topographic condition are also force the disparities. This research aims to figure out the driving force of disparities between NR and SR, and arrange some recommendations to mitigate and adapt the environmental issues. The annual rate of land use and cover change (LUCC) shows that the forest reduction in the NR is twice than the SR and the agriculture land lost in the NR is three times than the SR. It means the NR is rapidly changed to built-up area, while the SR is slowly changed, but the SR gradually follows the NR condition. In addition, the average growth rate of population and the annual GDP in the NR are reached five times than the SR.
From now on, SRTM-1 can beat the free ASTER-DGM with a large global coverage. It’s worthy to give it a try. Have fun in examining the new data for your region! For Indonesian Scientist please give your best shot for proving our capability. Ayo duong!!! Agrotourism as an accession of human needs has to be appropriated in term of sustainability, suitability, beautification and comfortability. Therefore, a research to evaluate this activity has been elaborated through a method of four aspects, namely agriculture, tourism, beautification and amenity (ATBA). It means the landscape development has to promote sustainable for agriculture, suitable for tourism activity, esthetically beautiful for environment and comfortable for amenity resources. 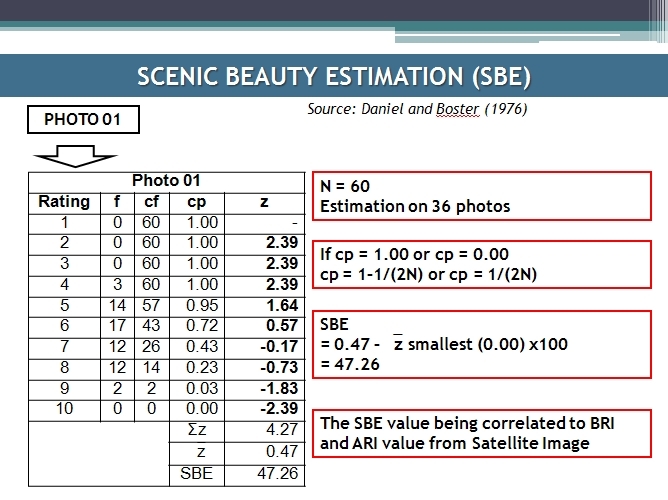 The spatial approach was designed by combining the value of landscape element through LANDSAT satellite image. 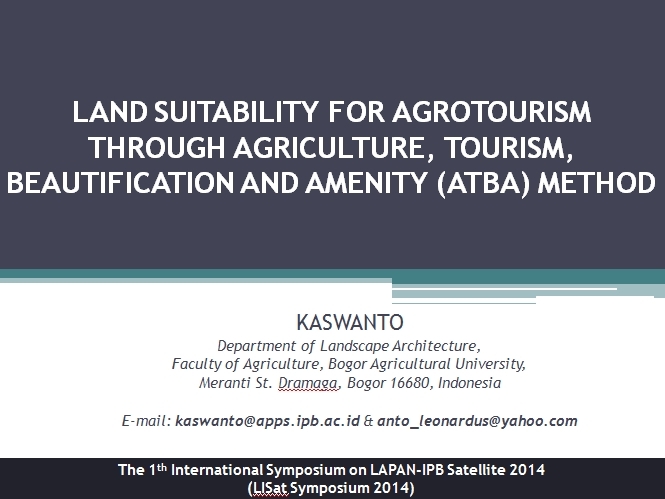 The aim of this research is to design an optimal land management scenario from four aspects of ATBA method. The result shows that the area of highest scale for each aspect, i.e. agriculture covers 14,624 ha (63.2% of total watershed area), tourism about 8,908 ha (38.5%), beautification occupies 9,302 ha (40.2%), and amenity reaches 7,103 ha (30.7%). The final result from overlay of all aspects is performed in four levels i.e. 3,355 ha (14.5%), moderate 12,657 (54.7%), low 5,946 (25.7%) and nil 1,180 (5.1%). 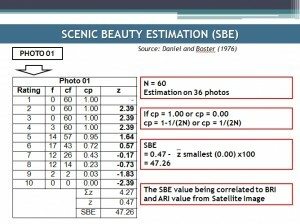 In addition, statistical analysis for beautification aspect was summarized in linier regression between Scenic Beauty Estimation (SBE) and Beautification Rate Index (BRI) as SBE = -16.24 + 21.35BRI. Furthermore a stepwise regression was performed through eight variables i.e. slope variation (X1), relief degree (X2), relief contrast (X3), land use concave (X4), naturalness (X5), land use compatibility (X6), vegetation strata contrast (X7), and internal variation of landscape cohesiveness (X8). The stepwise regression is represented significantly by two variables: X5 and X6, which positively affect the value of SBE which formed SBE = -6.32 + 12.74X5 + 11.58X6. Correlation analysis both amenity rate index (ARI) and BRI was described in ARI = 2.64 + 2.82BRI. 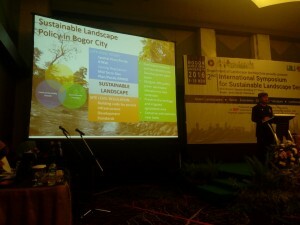 The planning and management concepts were derived from triple bottom line benefit strategic aspect: 1) environmental conservation which is implemented by agroforestry concept, 2) community welfare which is approached by landscape beautification management, and 3) landscape amenity services by the rate of comfortable scale. 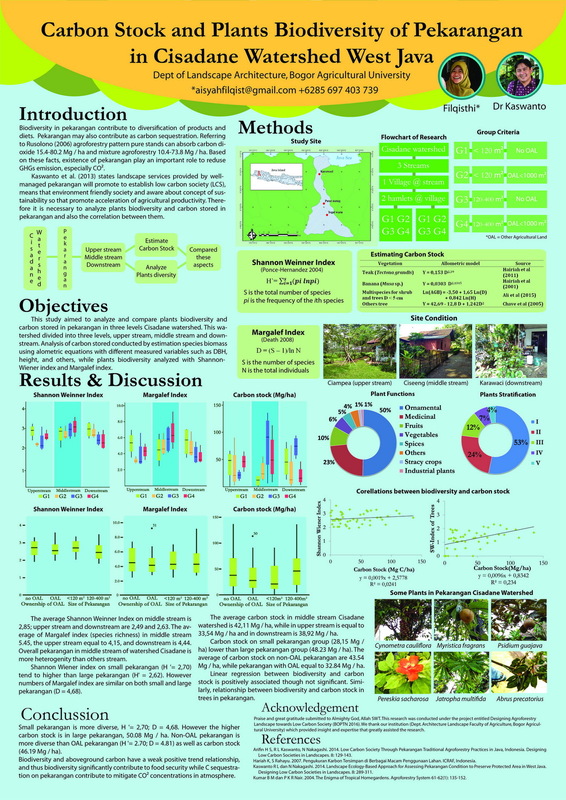 Poster Seminar Hasil Penelitian LPPM IPB tanggal 2 & 3 Desember 2014. Perkembangan zaman dan teknologi menuntut masyarakat untuk selalu tumbuh dan memenuhi kebutuhan hidupnya. Hal tersebut turut mempengaruhi perubahan penutupan dan penggunaan lahan, khususnya dalam kawasan Daerah Aliran Sungai (DAS). Empat DAS yang diteliti, yakni 1) Ciliwung, 2) Cisadane, 3) Cimandiri, and 4) Cibuni masih mengalamai perubahan penutupan dan penggunaan lahan. Hal ini terjadi dan akan terus berlanjut karena bertambahnya pertumbuhan sosial dan ekonomi. Oleh karena itu, diperlukan terobosan yang signifikan untuk menganalisis faktor pendorong perubahan tersebut melalui gerakan Masyarakat Rendah Karbon (MRK) – Low Carbon Socities (LCS), yang dianalisis dengan pemanfaatan teknologi yang ramah dan pintar, yakni GIS dan Remote Sensing. 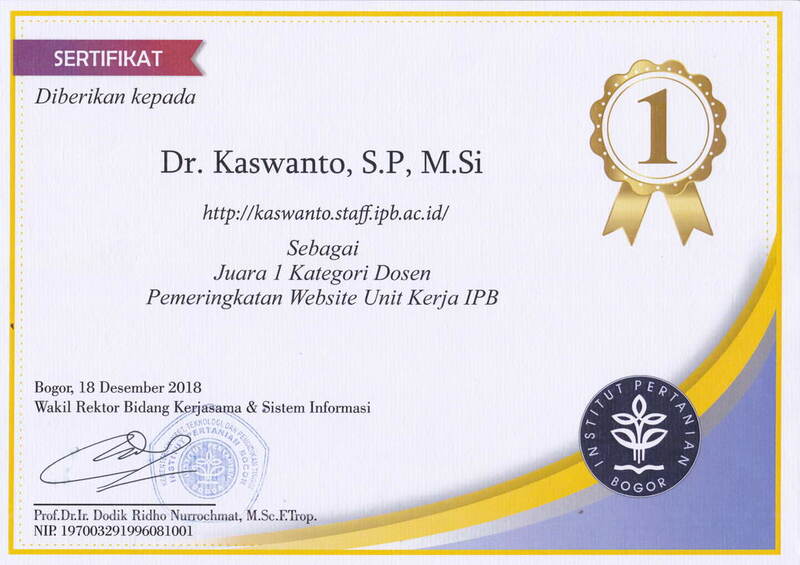 Adapun tujuan dari penelitian ini: 1) memantau dan menganalisis perubahan penutupan dan penggunaan lahan, dan 2) menganalisis faktor pendorong dari perubahan tersebut. 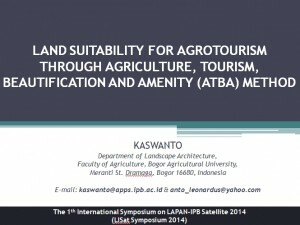 Faktor pendorong dari keempat DAS dianalisis melalui citra satelit LANDSAT dalam tiga periode: 1978, 1995/6, dan 2012 dan disajikan melalui olahan statistika. Hasil penelitian menunjukkan penutupan lahan selalu berubah selama tiga periode. Perubahan tersebut diikuti dengan beberapa proses yang pada akhirnya berubah menjadi lahan terbangun dan lahan kering. 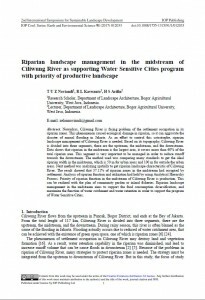 My Paper about Pekarangan Revitalization has been published. 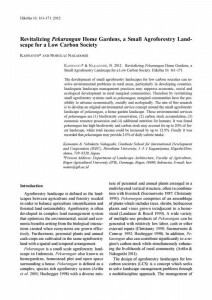 My paper entitled “Revitalizing Pekarangan Home Gardens, a Small Agroforestry Landscape for a Low Carbon Society” was published in Hikobia 16: 161–171 on December 2012.
ecological development in rural marginal communities. Therefore by revitalizing small agroforestry systems such as pekarangan, marginal communities have the possibility to advance economically, socially and ecologically. 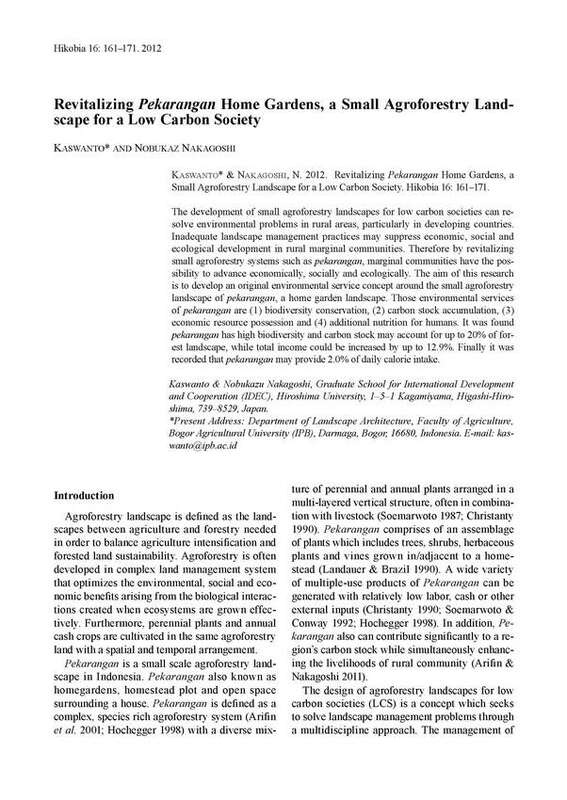 The aim of this research is to develop an original environmental service concept around the small agroforestry landscape of pekarangan, a home garden landscape. Those environmental services of pekarangan are (1) biodiversity conservation, (2) carbon stock accumulation, (3) economic resource possession and (4) additional nutrition for humans. It was found pekarangan has high biodiversity and carbon stock may account for up to 20% of forest landscape, while total income could be increased by up to 12.9%. Finally it was recorded that pekarangan may provide 2.0% of daily calorie intake. If you are interested, please download in the link below. Kaswanto and Nakagoshi 2012 Hikobia 16_161-171 OK.
or you can go directly to the journal’s website in HIKOBIA (in Japanese). If you have any questions related this paper, please give some comments in below. Penelitian yang sifatnya ilmiah dalam dunia Remote Sensing mengenai Coral Reef saat ini memang sangat berkembang. Dalam beberapa bulan ke depan saya akan fokus ke bidang ini. Bila ada rekan-rekan yang memiliki info mengenai Coral Reef dalam dunia RS dan GIS silahkan saja berdiskusi dan share di sini. Sekedar info, saya sedang mencoba melihat klasifikasi kualitas Coral Reef di Sangarani Bay, Filipina.